Piatnik’s take on “Bourgeois Tarot”, also known as “French Tarot Nouveau”, in a version published in 1987 with charming images on the double-ended trump cards. This pattern originated in the second half of 19th century with C.L. Wüst of Frankfurt [see here] by which time it was permissible to use almost any series of pictures for the trumps. It is produced by several manufacturers today. The trumps here depict scenes of early 19th-century social and rural activities of the well-to-do European middle classes. 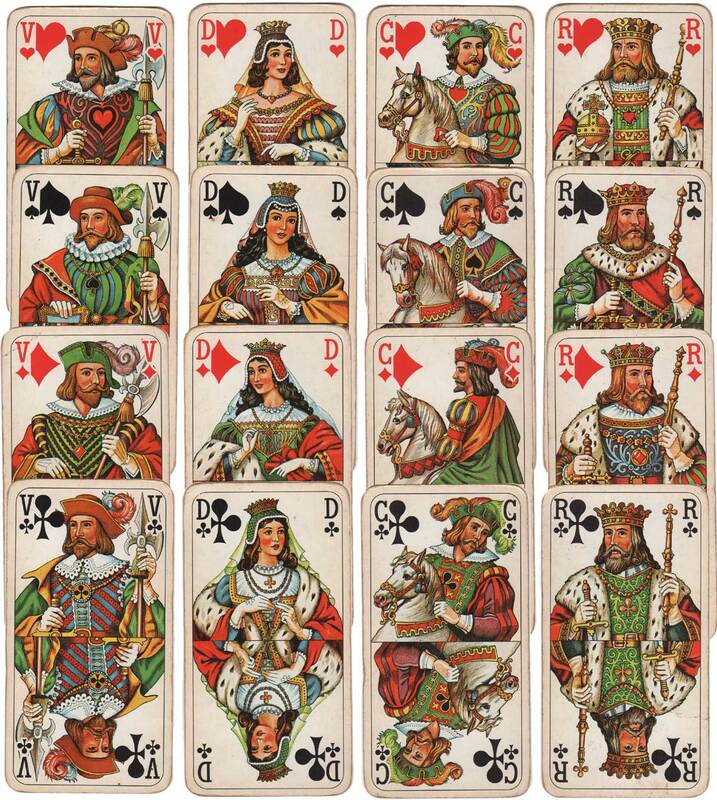 There is an ornamental panel at the top and bottom of each trump card with the number in Arabic figures in the blank area. The game is not intended for fortune-telling which is why there is no ‘right-way up’ for the cards. 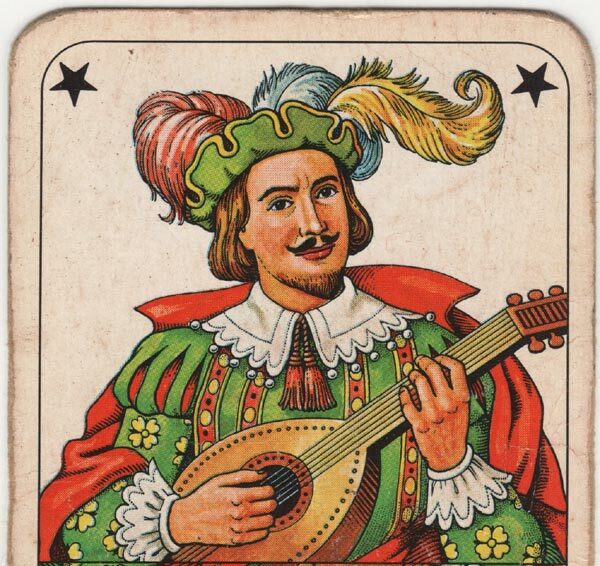 Above: the 22nd trump, the un-numbered mandolin player is known as “The Excuse” or “The Mandolin” or “The Fool” and is a wildcard which may be played in place of any other card (effectively he is the equivalent of a Joker). Above: French-suited “Bourgeois Tarot” by Piatnik 1987. 78 cards, plus rules leaflet (in French). Images courtesy Matt Probert.